Arguably, Wyatt O’Brian Evans is the quintessential Renaissance man. He’s a Journalist, Author, Advocate, Radio Personality, Motivational/Public Speaker, Voice-Over Instructor/Talent. An impressive resume! 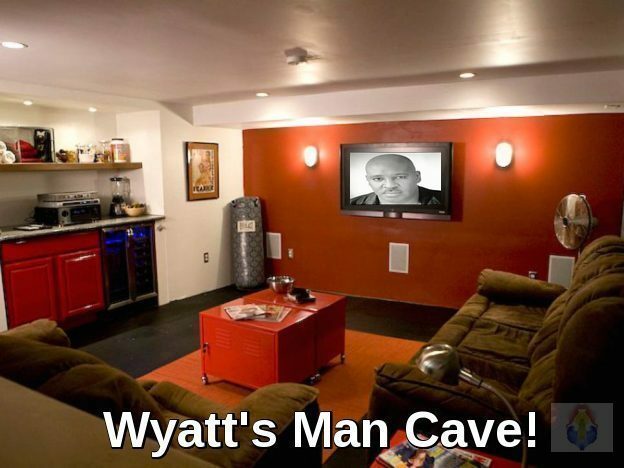 And now, Mr. Evans has just launched his brand new radio program, Wyatt’s Man Cave! Wyatt’s Man Cave is cutting-edge, probing, absorbing and insightful radio! It explores and dissects controversial issues—including relationship and wellness—that impact gay/SGL men. And noteworthy, distinguished and diverse LGBTQ individuals and their Allies weigh in. Wyatt’s Man Cave welcomes guests from all walks of life, who are either emerging or established: wellness and relationship experts, authors, community organizers, adult industry performers, comedians, activists, politicians, musicians, etc. A truly eclectic group! Wyatt’s Man Cave is uncut and uncensored. And by the by: My sidekick, the raucous and irrepressible Ms. Caroleena Devereaux Cumshot, Drag Queen Supreme, might drop by! It’s one heck of a thrill ride into the unexpected! Wyatt’s Man Cave is produced by the dynamic, well-respected and consistently on the move LesBe Real Media (www.lesberealradio.com). Trust and Believe: Wyatt’s Man Cave is EARGASM for the Grown Folk!!! So, tune in Thursdays @ 5 PM ET/2 PM CT at www.mixcloud.com/wyatt-obrian-evans/ And, what’s wayyyy cool is that Wyatt’s Man Cave is rebroadcast directly afterwards! Be sure to follow me at Mixcloud for show reminders and updates. And…be prepared to be informed, titillated, entertained…and moved! Jace Payne, Popular Author of Gay Erotica. LGBTQ Intimate Partner Violence & Abuse (IPV/A). Corey Yarbrough, Passionately Committed Activist. Deadlee, Innovative Gay Hip-Hop Artist.